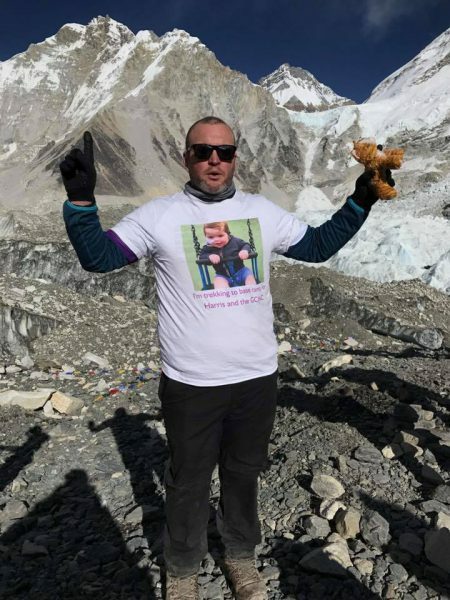 A Lochcarron man is nearing completion of a gruelling Himalayan trek in order to help fundraise for the hospital which has cared for his infant son. 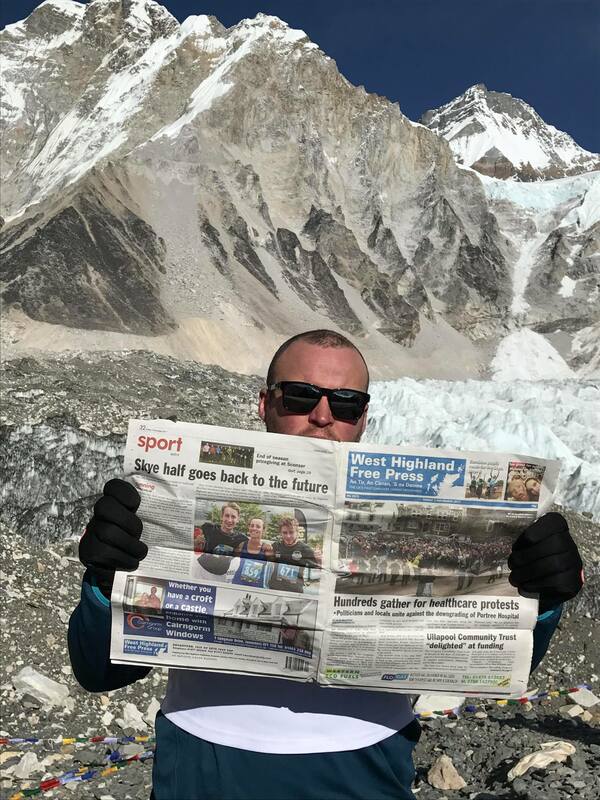 Ross Brown, who now lives in East Kilbride, made it to 5380 metres above sea level to Everest Base Camp on Monday of this week. He set off on the trek on the 19th of November, and is due to fly home from the ‘roof of the world’ on Sunday. 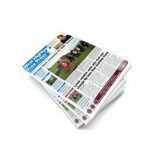 The former Lochcarron shinty player and now well-known shinty referee has so far raised over £5,000 for the Glasgow Children’s Hospital Charity. 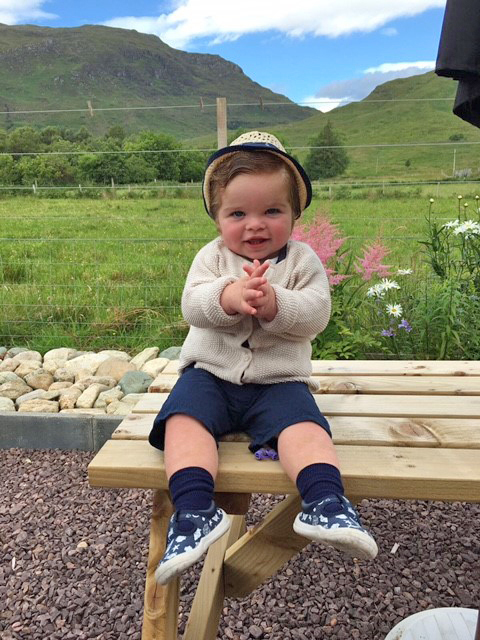 Ross and partner Anna’s son Harris spent eight months in hospital, after developing complications following a virus. The one-year old is able to live at home, but remains fed through a tube inserted into his stomach. 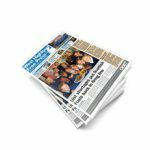 The toddler is set to undergo further tests in Manchester in January in a bid to get more answers. Anna stayed with Harris for the entire eight months of his hospital stay. Click here to donate to the cause. Ross and Free Press at the ‘roof of the world’.